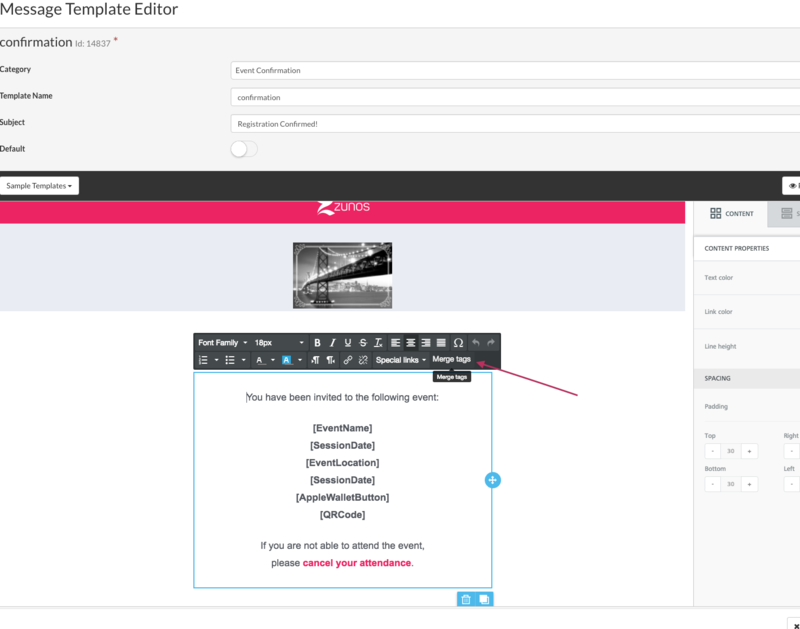 Please read here on how to create an Event Confirmation template in Zunos! Event Confirmation Templates can be created in Drive under the "Add Content" button by choosing Message Template. Note: Please see our Knowledgebase article titled Create A Message Template for further message creation instructions! 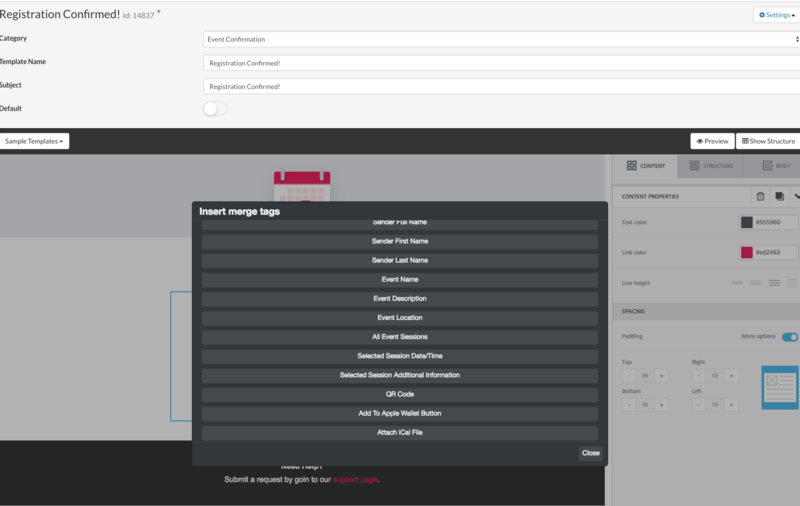 Below is an example of an Event Confirmation template being created. Clicking on the Merge Tags button will show all the tags that can be used in the Event Confirmation template. Tag for the Apple Wallet button which will allow the event to be added to the users iPhone Apple Wallet app. Below is an example of what the event confirmation will look like for your users after the user confirms their attendance at the event. You will notice the above sample has replaced the Merge Tags with your event specific details. 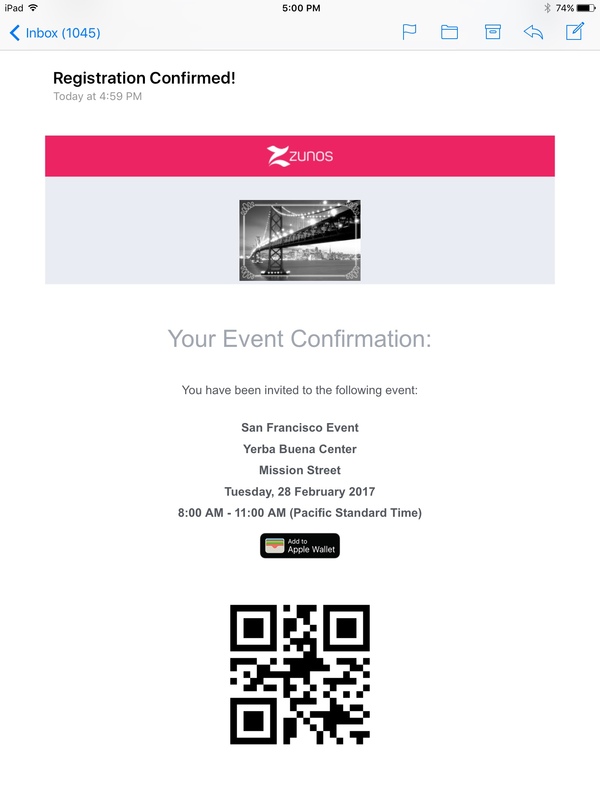 When the user attends an event, they will display their QR code to be scanned by the event coordinator by using the Zunos app.